Marina Laura De Caro was born on February 18th, 1961 in Mar del Plata, Buenos Aires, and raised in the city of Buenos Aires, Argentina. She is a plastic artist and Bachelor in History of Art from the Faculty of Philosophy and Literature of the University of Buenos Aires. Coordinated the “Trama” Project, an international cooperation and discussing program between artists. She lives and works in Buenos Aires. 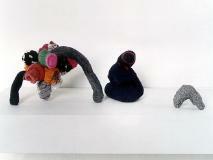 Awards and scholarships: 2002, shortlisted among two other finalists for the Textile Art award, Fundación Konex; 2000 Creativity award, National Arts Fund (FNA); Selected by “Trama” Project to participate in their research workshops; 1999: Leonardo Award, Association of Critics and National Museum of Fine Arts; Grant to Creation, Fundación Antorchas; Grant to Creation, National Arts Fund, 1st Prize — Painting, Fundación Klemm; 1997/98: Guillermo Kuitca Scholarship for young artists; 1997: 3rd Prize — Painting, Fundación Klemm. 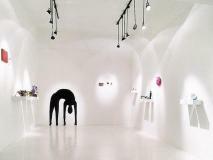 Individual exhibitions: 2005: Greek Tragedy, Alberto Sendrós Art Gallery; 2003: March Waters, Alberto Sendrós Art Gallery; 2002: The value of things, Lelé de Troya, ArteBA, Buenos Aires, 2001, Sunday X027, Gara, 2000, Drawings, Centro Cultural Borges, Buenos Aires. 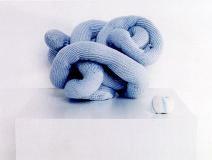 Ball of wool without an end, Gara, 1998 Tricot I.C.I., Buenos Aires. Collective exhibitions: 2005: On roses, buds and other fables, Proa Foundation (curated by Victoria Noorthoon), Abstract Art (Today) = Fragility+Resistance, CCEBA (Curated by Mario Gradowczyk); Chromophagy; Nara Roesler Art Gallery, Sao Paulo, Brazil. 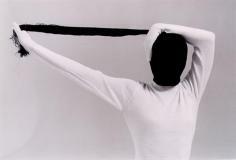 2004, Chromophagy, Centro Cultural Borges; Notations; CCEBA, 2003 Estudio Abierto Retiro, Buenos Aires. Fernando Pradilla Art Gallery, Madrid, Spain, 2002 Estudio Abierto San Telmo, Buenos Aires, Argentina, 2001 ARCO, Gara Art Gallery, Madrid, Spain. 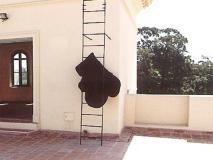 New Media Exhibition, Alberto Heredia, Sivori Museum, Buenos Aires, 1998 Palermo Award, Buenos Aires City Government, Buenos Aires, 1997. Painting Award, Fundación Klemm, Buenos Aires. Jeux et Parures, Jeu de Parure, Poisson d’Or Art Gallery, France. 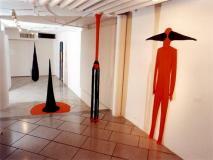 On modernity, Project developed during the course of the TRAMA scholarship, 2000. 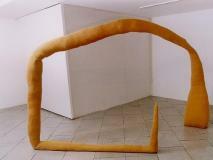 Tutors: Richard Deacon and Jaroslaw Koslowsky. Wearables on knitted acrilic spun. 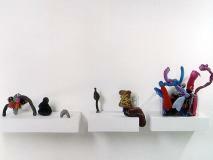 It is difficult to choose ONE work that represents me. Since although one believes that each work is a new proposal, one is always going round the same ideas or family of ideas. Getting over this obstacle, I choose almost at random Sunday X027 (Domingo X027), an installation carried out in the Gara Gallery in the year 2000. A yellow space painted according to the mandate of the colour charts from commercial paints, furniture suspended 20 cm off the floor (a cabinet and a dresser) that contained objects and garments knitted with the same colour rules (industrial yellows). As part of the same project there was a series of folded garments, sewn in a way that cancelled their functionality in favour of the construction of their own poetic. It is not easy to describe the installation, it is neither as interesting as remembering the sensation that we all had when entering this space. Due to the suspended furniture, knitted walls and some soft objects, one had the feeling of being in an atmosphere with no gravity, which is why you automatically began to speak slowly and in a low voice and to move as if you were walking on the moon. 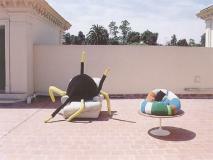 Really, a new perception of space, claiming a different behaviour and sensitivity. My work goes round different aspects that involve the corporeal. 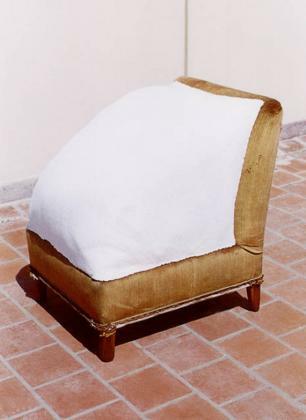 Inevitably, the perception of soft objects affects the body. They are not only perceived with the gaze, the body also perceives them. A new perception of space inevitably has repercussions on different behaviours from the spectator, this is another point I am interested in. A critical look on architecture and design that I find in certain cases too authoritarian. My stronger referents are fashion and architecture. Designers like Rei Kawakubo, Y. Yamamoto, I. Miyake, Gaultier in the '80s, the Scandinavian design, artists like Marta Minujin and her soft objects, Ligia Clark, the architectonic proposals of Hundertwasser, etcetera. Unfortunately my memory is very fragile and I cannot access it with much ease, even less if I am asked to do so. Everything becomes a white hole. However I can name: Daisy's Dictionary (Diccionario de Daisy, Diana Aisenberg), the work of Daniel Joglar, Rehearsal of a Liberating Museum (Ensayo de museo libertario) by Magdalena Jitrik, the skies of Florence Böhtlingk, the show of Tulio in the gallery of Diana Lowenstein, to be so generous of showing us the doubts, the tos and fros of a work without arriving at a categorical concept. Many of the retrospective exhibitions at Mamba (Museum of Modern Art of Buenos Aires), because they have rescued Argentinean artists that would have otherwise been forgotten. Mariela Scafati´s painting and wall paintings, Ernesto Ballesteros´ exhibition at ICI (Institute of Latin American Culture) with pencil drawings, the drawings of Fermín Eguía, etcetera. What I rescue of these last ten years is the recovery of a critical thought on the part of the artists, and I suppose that it comes from the hand of the strong tendency that other artists also have to align themselves with the international current.